-Revolutionary SuperFabric brings strong protection (think bullet proof vest) to your feet. –The Sprint Pro has a standard tongue and upper, but the Sprint SF’s tongue is modified and integrated with a soft and comfortable full sock liner. -SuperFabric doesn’t just toughen the typical areas of wear (e.g. toe, forefoot, etc.). The upper and lacing system are strengthened, as well, and offer best-in-class dynamic flexibility when performing on court. -Some other tennis shoe companies have released new models with forward-tilting foot positions. 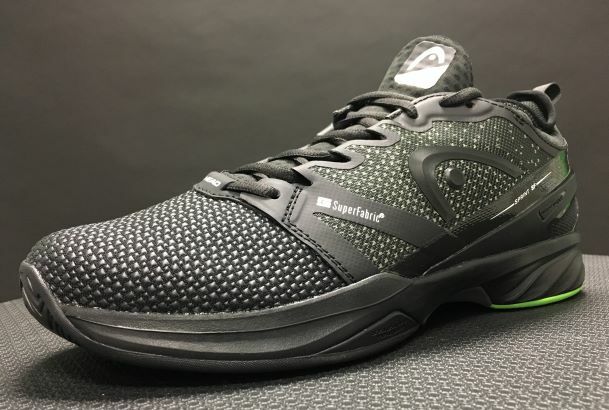 HEAD actually engineered the Sprint SF to have a minimal heel-to-toe drop for more connectivity to the court, and greater balance and control. 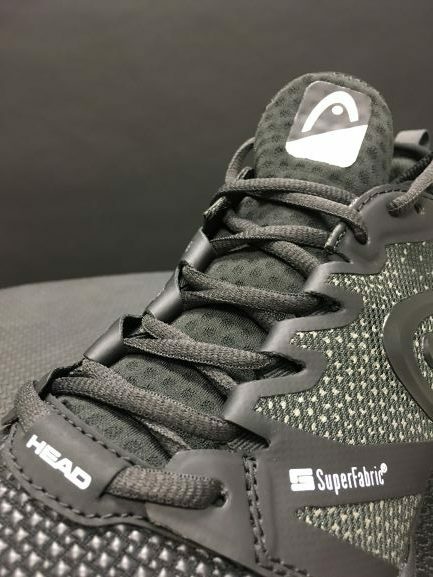 -It’s exciting to see HEAD, a consistent innovator in racquet technology, form a partnership with a forward-thinking company like SuperFabric. If the Sprint SF is any indication, SuperFabric will have a solid place in the tennis shoe market going forward. 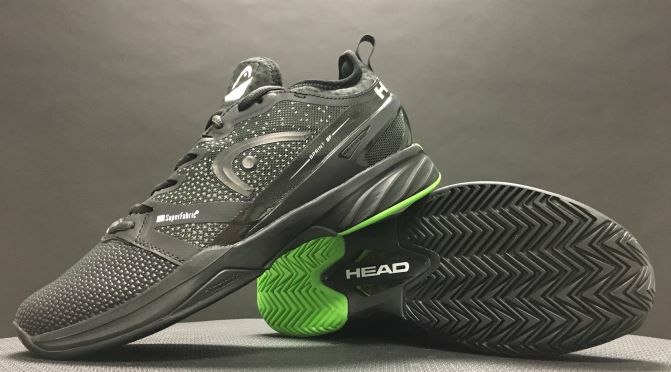 I have worn several iterations of HEAD’s flagship Sprint Pro shoe line, and each new version seemed to have subtle updates to better manage weight and breathability. Ultimately, the Sprint Pro is still a solid option for a match day shoe, but HEAD journeyed forward as they often do. I had heard some rumblings about another update to the Sprint Pro franchise, but can honestly say that I did not expect the wholesale changes incorporated into the new Sprint SF. When I first saw the shoes, they had the look of an armored bat-mobile. But despite their rugged, heavy-duty appearance, the Sprint SF is about 1 ounce lighter than the previous generation Sprint Pro 2.0. In addition to shielding the toe and forefoot from hot hard courts, the standard tongue has been removed in favor of a full-sock construction for a natural fit and improved performance. In my opinion, the pairing of a soft, comfortable EVA full sock liner with the tank-like durability of the exterior makes the shoe a great combination of durability and comfort. When trying the shoe on for the first time, it seemed to have a shorter toe box than the Sprint Pro 2.0; however, the shoe isn’t actually shorter, it is just a little bit less voluminous because of the new SuperFabric material above the toe. I believe a short break-in period would benefit most players so they can get used to the ultra-lightweight response and new material. Some other tennis shoe companies have trended toward tilting the foot’s position slightly forward. HEAD engineered the Sprint SF with a minimal heel-to-toe drop for more connectivity to the court, balance, and control. 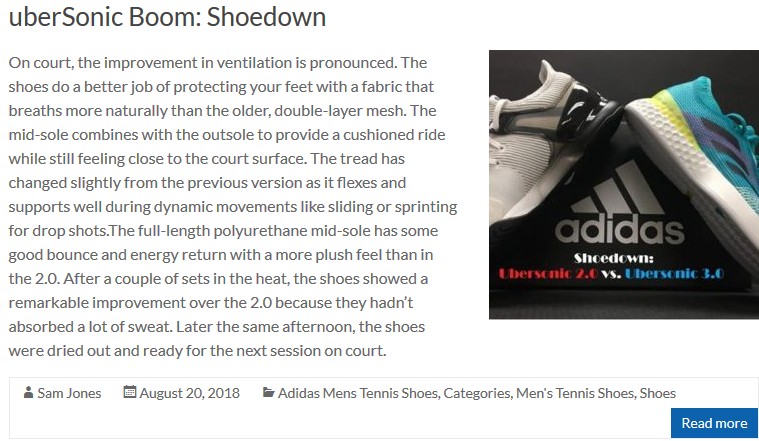 This is apparent during the quick stops and starts of match play because the shoe hugs the court surface well, and inspires a sense of confidence in your movements. SuperFabric is as advertised: SUPER strong, SUPER lightweight, and SUPER Flexible. 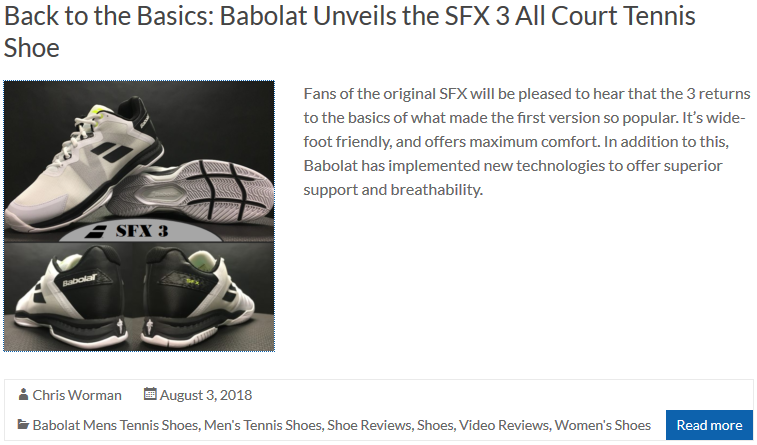 Add it to HEAD’s TRI-NRG Insole, 3D-Anti Torsion shank, and Cooling System, and you get a shoe that is…..SUPERFAB!